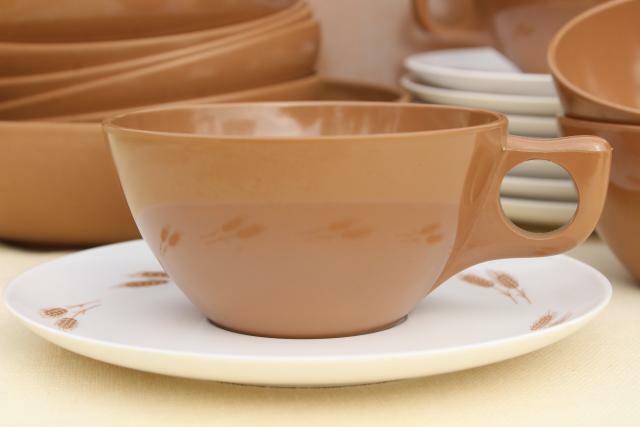 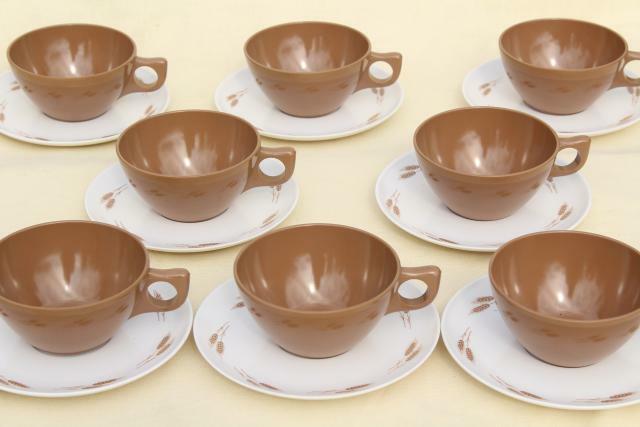 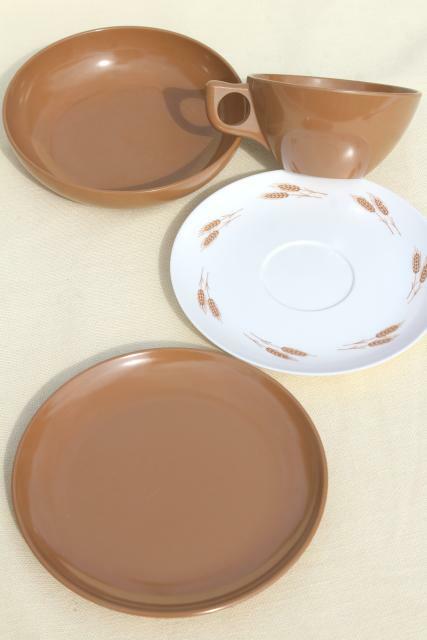 60s - 70s vintage melamine plastic dishes, cocoa brown with autumn wheat border on the white. 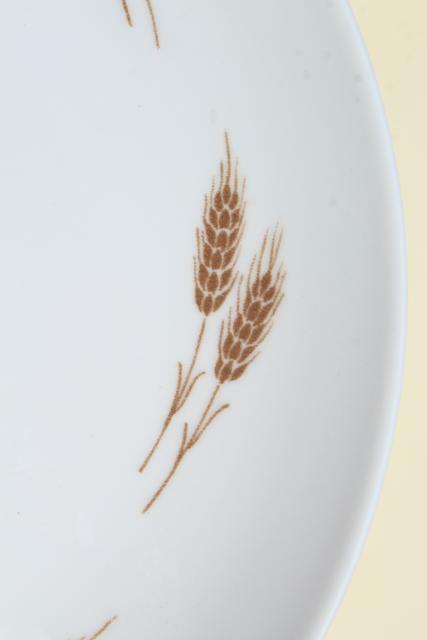 This is a used set, showing some slight wear and scratching. 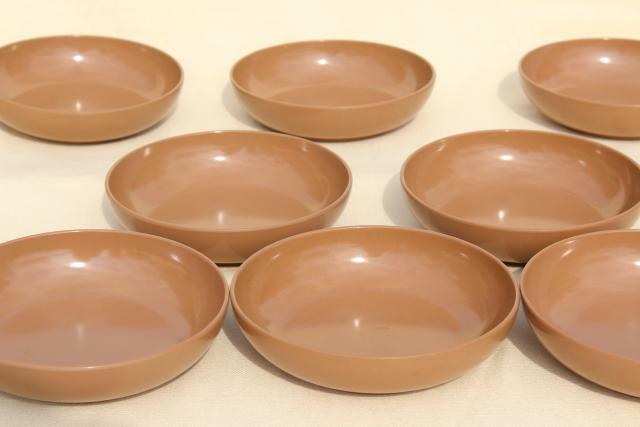 It's set for eight - eight each of bowls 5 1/2" in diameter, sandwich plates about 6" in diameter, cups and saucers. 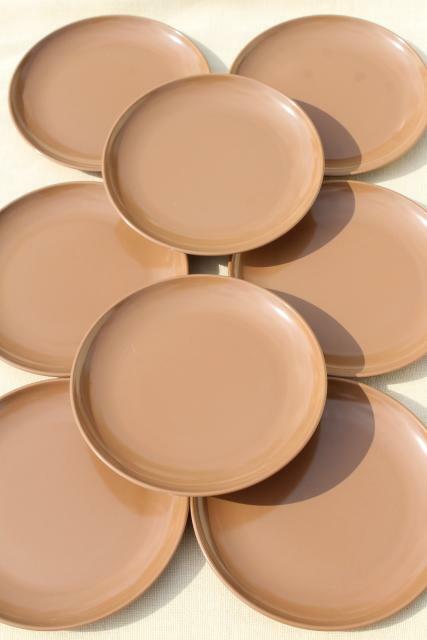 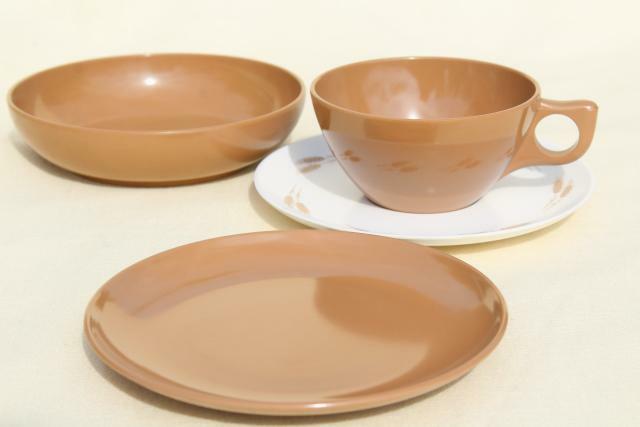 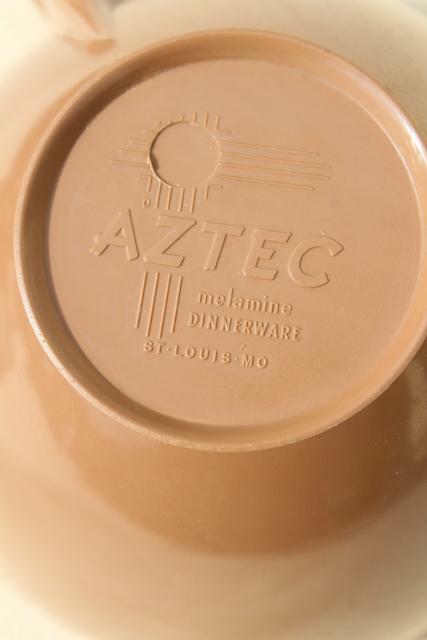 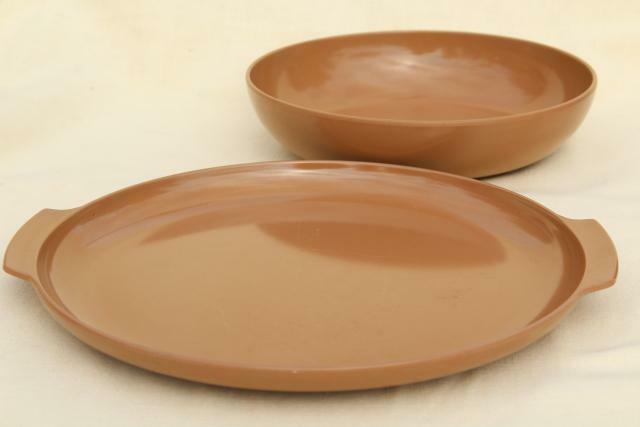 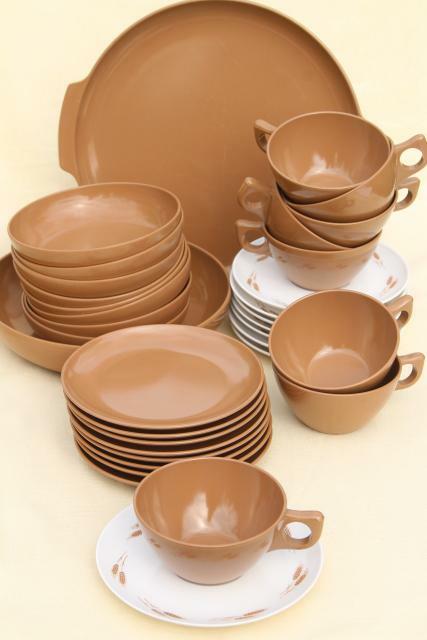 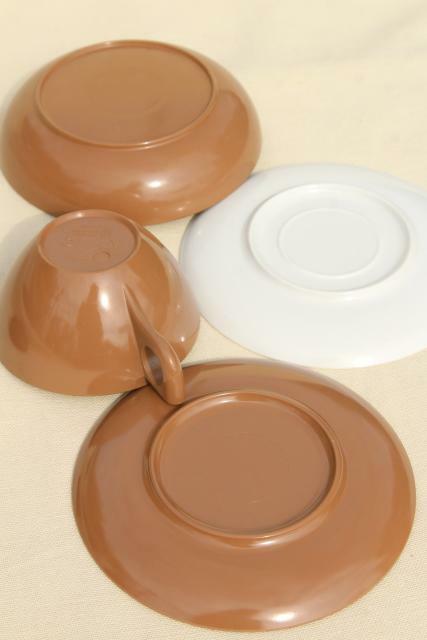 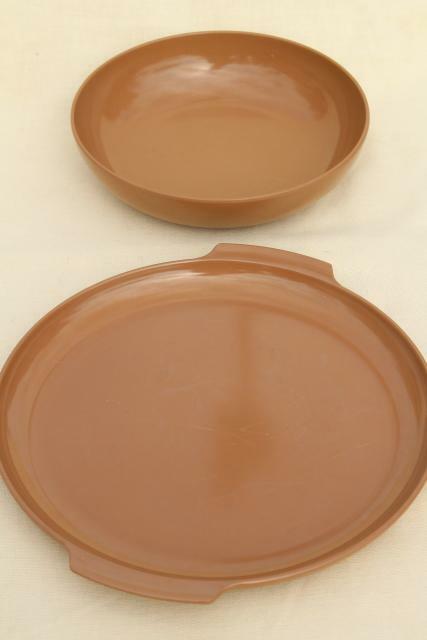 There's also a serving plate and a large vegetable or salad bowl, both in the solid brown color as shown.